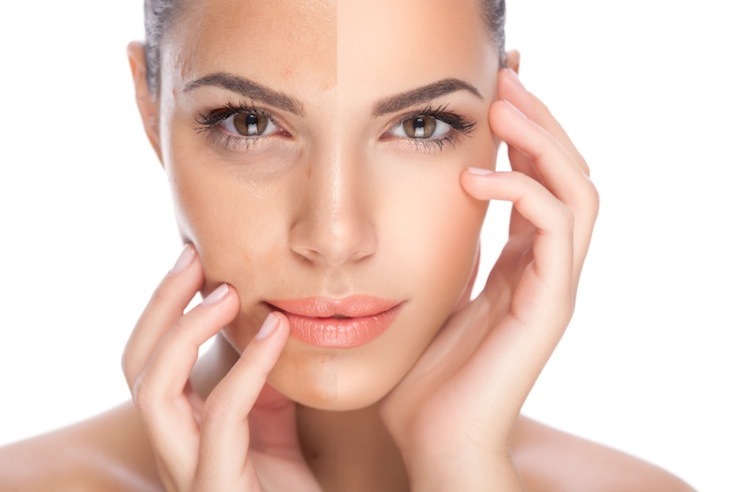 Prior to starting any skin treatment, be sure to determine your skin type. There’re five types of skins: normal, oily, dry, combination skin and sensitive skin. If you don’t know how to find which category your skin falls into, you may consult your dermatologist to know about your skin type. What you eat greatly affects your healthy and skin. So, you’re supposed to consume healthy diet to stay away from potential skin problems. Consider adding foods that are supposed to be good for skin. These foods include but are not limited to: citrus fruits, strawberries, broccoli, red peppers, almonds, sunflower seeds, lean meat, wild salmon, atlantic mackerel, walnuts, etc. You need to drink enough water to stay hydrated and keep your skin healthy. According to many studies, seven to eight glasses of fresh water are necessary for healthy, spotless skin. Which is why, we see top models and actresses suggest drinking water to attain youthful skin. In addition to a poor lifestyle, the usage of substandard skincare products also plays a vital role in spoiling your skin. The brand you use should have good reputation among beauty experts. Mostly, the products you see in ads do nothing but worsen your condition. Herbal products are supposed to be safe because they contain less chemicals.